MU's pollster calls Ald. Kovac's radio show. Is she from the "East Coast," as MU says, or India? Every Thursday at 9 pm. Nik Kovac hosts Packerverse on Riverwest Radio, an internet station. It may be the only Socialist-themed call-in sports talk show in the nation. As Kovac observes, “the Green Bay Packers are the only community-owned team in Major League sports,” so why not? This blending of team boosterism and politics comes naturally to the athletic 35-year old municipal employee whose day job is serving as Third District Alderman for the City of Milwaukee. “This is a radio show. You are on the air,” he responded. Then, with a hint of expectancy in his voice, it was Kovac’s turn to ask a question. “Is this a poll?” he queried. You could hear the excitement in his voice. Indeed it was a poll, conducted by Marquette University Law School, and here it was live and on the air, for the edification — and considerable amusement — of listeners, and of the host himself. Who are these people reading the script? What country do they live in? And why did the school choose an out-of-state firm with little apparent political or academic experience to operate its flagship program “to help foster discussion of important policy issues? Why not hire local talent? Like the law school poll, Riverwest Radio recently celebrated its first year of operation. The studio, at 824 E. Center St., is less than two football fields’ distance from the alderman’s home. It occupies a tiny corner of the Riverwest Film and Video store, and its most distinctive feature is a storefront window that puts the action in the studio practically out on the street. (In fact, the station has occasionally broadcast from a teepee in front of the shop.) Kovac did not have to pull any strings to get his time slot on this hyperlocal platform; in fact, spaces on the schedule are still open, as is the format of the station. Thursday was the third and final day of poll-taking for the MU Law School Poll, and the results, announced Tuesday, March 19th, were the first to be released since a November pre-election poll correctly predicted the victories of Barack Obama and Sen. Tammy Baldwin. Among the questions the poll asked of respondents were whether they had a favorable or unfavorable view of various public figures. Kovac was happy to answer: Obama, Baldwin and Rep. Ron Kind got thumbs up, while Kovac not-surprisingly disapproved of Scott Walker, Paul Ryan and Ron Johnson, adding his opinion was “very much” unfavorable toward the senior senator. Kovac favored an assault weapons ban, gun background checks “for everybody,” and said he was satisfied with public schools, “but want them to be better.” He volunteered that public school spending should be increased at a rate above inflation “to make up for the cuts” in school budgets imposed by the Walker administration. Knowing he was on the air probably brought on a little of this political hot air from Kovac, who began expounding on the topics beyond the scope of the poll. But it made for amusing Political Theater-as-Performance Art when Kovac answered a series of highway funding questions only after first noting there was no mention of transit funding, a grave omission in his opinion. Should highway funding be cut? “Absolutely,” Kovac replied. “Half of the [proposed projects] should not be delayed, they should be stopped.” Gas tax increase? “Absolutely,” Kovac said, adding that he believes in a vehicle miles-travelled tax, which is not yet on any agenda, or on the poll interviewer’s script. With the polling nearly complete, Kovac turned the tables on his questioner learning that her name was “Shalisha.” As the conversation went on, Kovac found it odd that a poll taker from a Jesuit university was unaware that the first Jesuit pope had been elected the day before. “I am calling from Milwaukee,” was the response. “I live in New York … In the Bronx,” the poll taker said. “Well you’re about 900 miles west of the Bronx,” Kovac said. WHERE ARE THESE QUESTIONERS FROM? Unfortunately, a lack of data and conflicting responses on the latter question leads to an unacceptably high level of statistical error. Urban Milwaukee asked Brigid Miller, the Marquette University Law School spokesperson, about the location of her poll interviewers based on the recorded statement that Kovac’s questioner was calling from Milwaukee, which seemed highly unlikely based on their interaction on air, especially when she told Kovac that she calls people at their home as late as 11 p.m. Plus, her accent seemed to be Bronx, via Bombay. According to Miller, the caller is an employee of LHK Partners, “a well respected, independent firm based out of Newtown, Pennsylvania that conducts our poll using professional interviewers. … The interviewers are located at call centers mostly in the northeast, “ Miller responded. This confirms Kovac’s hunch about the caller’s misrepresentation of her location: “She was probably calling from New York but didn’t want to say so… When I would telemarket back when I was 15 we weren’t supposed to tell the Virginians we were in MKE… strict rule. As Kovac noted on air, the interviewers read from a script. According to Miller, the script is prepared by Dr. Charles Franklin, the founder of Pollster, who now heads the Marquette polling operation. “LHK simply administers the questionnaire as provided to them by Dr. Franklin,” she adds. As script readers, the interviewers are no more permitted to improvise than the pit orchestra in a Broadway show, so why is such a routine, if not mundane task, farmed out to a non-Wisconsin company when Marquette, with its history of community activity and robust Milwaukee presence, could easily supply qualified questioners? This is especially so in an economy where even law school graduates are waiting tables and driving cabs nowadays. It can’t be that LHK has special talents in finding people to call, since the firm uses random-digit-dialing, which hardly seems like a proprietary item. Furthermore, there are many Wisconsin firms with capabilities in polling and call center activities, and apparently greater experience with political polling than LHK, which has a large and impressive roster of mostly corporate clients. It is a pun on the universe; Lambeau is its center. The Native American History of the Green Bay region. Click here to listen to the March 14th, 2013 Packerverse. Mike Gousha’s On the Issues discusses the poll results in an event taped Tuesday, March 19th. WYMS-FM “88Nine Radio Milwaukee” announced Monday, March 18th, 2013 that it had purchased a two-story, 14,000 square foot building at 158 S. Barclay St. to serve as its new headquarters and studio. The purchase price is $1.175 million, and the station has already raised $1.2 million out of a $2.8 million capital campaign. The only other named donor is the Astor Street Foundation, which has provided about $22,000 in annual operating support to the station annually over the last two years. WHAT IS THE ASTOR STREET FOUNDATION? 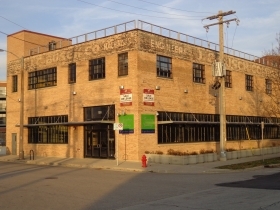 The Astor Street Foundation is named for its location at 1122 N. Astor St., the home of a collection of philanthropic projects funded by Lynde Bradley Uihlein, who is both a member of the famous Schlitz brewing family and the granddaughter of Allen-Bradley co-founder Harry Bradley. She spent $4 million remodeling the joint in 2008 from its former use as Zita, a fashionable clothing store founded by her grandmother Peg Bradley. The Astor Street Foundation is successor to the Brico Fund, although Uihlein still uses that name for her charitable activities. Brico / Astor made charitable donations of $3,588,372 in 2003; $3,413,249 in 2004 and $4,904,947 in 2005. Donations of $31,723 in 2006 and $35,800 in 2007 were positively paltry by comparison. The foundation’s giving and assets seem to be growing again, slowly, but are nowhere near historic levels. The foundation’s “retained earnings” total a negative $14,709,839. In 2011 the foundation had $4,197,338 in assets and made grants of $261,700 including the $22,000 to 88Nine. The foundation’s IRS Form 990PF gives us a glimpse into the organization, as well as a peek into the city’s power structure. The Astor Street Foundation president is Sarah Olson Zimmerman, a Yale-educated attorney, and, not incidentally, Lynde Uihlein’s daughter. During 2011 Zimmerman also served as the Chairman of the Board of WYMS, which probably made it easy for her to ask herself for money for the station, while easing the sting of granting it. 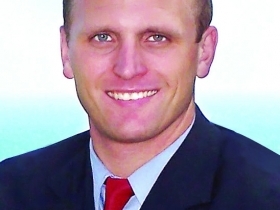 Zimmerman is no longer chairman of WYMS, but serves on its development committee. In December, 2012, she was selected President of the $23 million Bradley Family Foundation, which operates the 40-acre Lynden Sculpture Garden located at Great-grandma Peg Bradley’s old home in River Hills. In that role, she replaces her architect uncle David Uihlein, Lynde Uihlein’s brother, who is now vice-president. The Bradley Family Foundation is not to be confused with the $578 million Lynde and Harry Bradley Foundation, Wisconsin’s largest, but Dave is on the board there, too, keeping an eye on things along with such fellows as George F. Will. In addition to being on the board of the two family foundations, Zimmerman serves on the Strategic Plan Steering Committee of University School Milwaukee, also in River Hills, where she helps plan the long range development of the acclaimed private school, the Alma Mater of many Uihleins over the years, including herself in 1992. Many of the USM construction projects have been designed by David Uihlein who generously donates to their completion with grants from his own cotton pickin’ foundation, the Julia and David Uilhein Foundation. This one only has $22,000 in assets, but they load it up each year and donate whatever comes in, granting over $2 million in 2011. My favorite part: “your responses will be kept confidential.” Um… no. Not every kid who goes to Marquette is from Cedarburg, so what’s with the suggestion that it is so odd that someone might be in Milwaukee and yet “her accent seemed to be Bronx, via Bombay”. Kind of racist to be puzzled by such, no? My impression is that most pollsters operate this way: they design the poll and write the questions, but then contract with a company that operates a call center (or series of call centers). The pollster then analyzes the results. My guess is that they found the skill sets are completely different. #2 Matt — Read the story.. She is not in Milwaukee, and that is the point of it. And don’t call me racist. #3 Bruce Thompson –Marquette trains future leaders in the fields of statistics, political science, journalism, law and more.Yet these students have no opportunity to participate in the polling system. Quinnipiac polls make use of students and non-students, calling from the campus and integrate the poll into the curriculum. Marquette Law School shows no shred of interest in this. I welcome further investigation of the polling practices of other universities, but my sampling is sufficient, I believe. UWM has an excellent survey research operation – Center for Urban Initiatives and Research. Does high quality work and employs Wisconsin folks. Putting a phone call on the air without permission is a violation of FCC rules. I suppose the reason you brought up the FCC rules is that somehow you have come to the conclusion that this conversation was in violation. I believe St. Norberts polls are done by students… the sample sizes seem to be far far smaller… and the results less then steller. I’d bet that going through an outside agency provides an opportunity for a much great sample size and thus accuracy in data. But I’m just guessing.